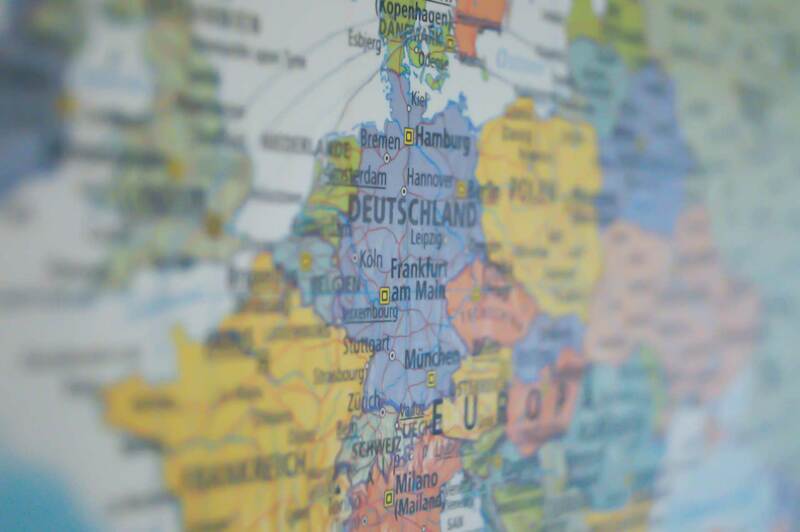 As a large country in Europe, Germany is one of the most important cultural and economic centers on the continent and has 82,8 million inhabitants. As Germany is such a big country, there are, of course, many big cities which are worthy of a tourist’s attention. Berlin is the capital of the country and has the largest population by far. Tourists flock here not only for the city’s historical monuments and associations (of which there are many) but also because it has a reputation for being one of the most vibrant, tolerant and international cities on the planet. The architecture of the city is extremely varied, ranging from a few buildings which have managed to remain untouched since the medieval age through to sleek, cutting-edge modern structures. 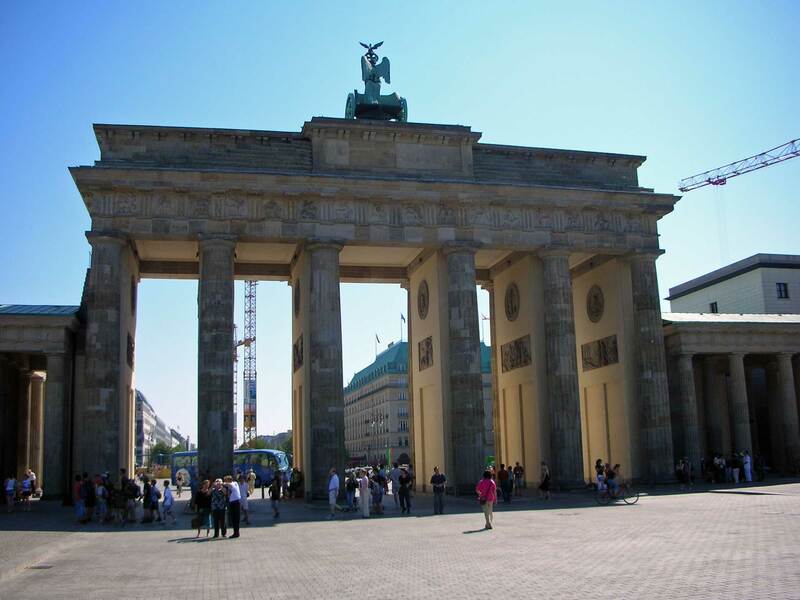 Possibly its most famous landmark is the Brandenburg Gate (Brandenburger Tor). Built in the 18th century, it lies at the junction of Unter den Linden and Ebertstraße and is a fantastic example of neoclassical architecture. Throughout the years, it has been the site of many a historical event and is now seen as a symbol of unity. 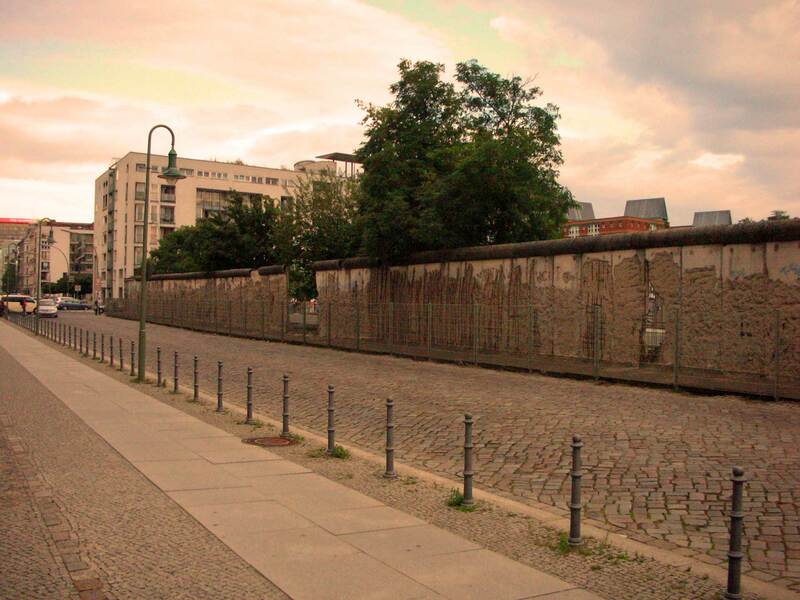 Berlin has a multitude of sights to see and it would be difficult to get around all of them in a short stay. If you want to see a lot in a short space of time, it might be an idea to take one of the many free walking tours which are organized in the city. • Museumsinsel: constructed on an island in the River Spree, Museums Island has five museums – Pergamon, Neues, Altes, Alte Nationalgalerie, and Bode-Museum – which mainly focus on the art and architecture of the 19th century. 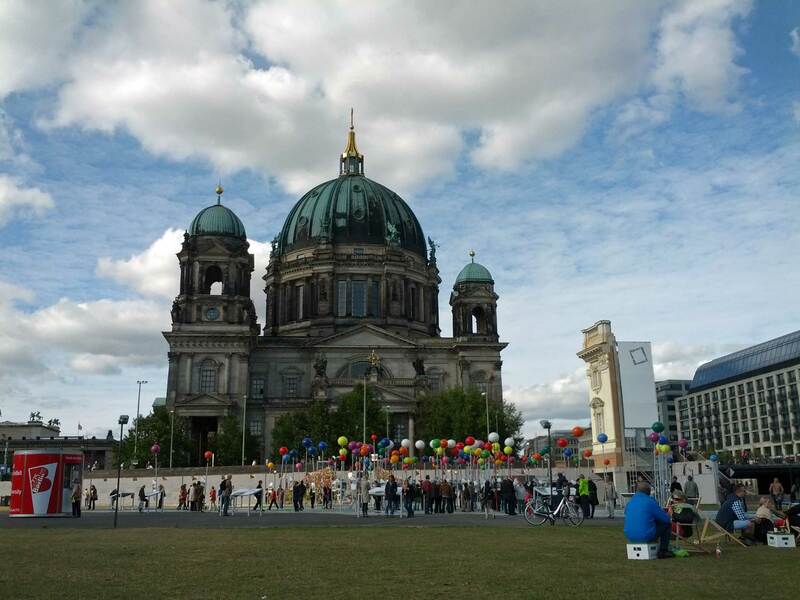 • Berliner Dom: this is the city’s Protestant cathedral and where the Prussian kings are buried. 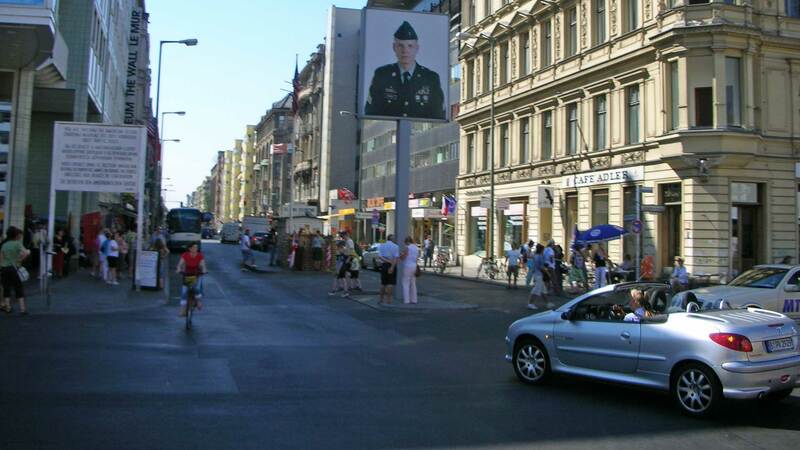 • Checkpoint Charlie: an important Cold War site, this is one of the old border crossing points between West and East Berlin. There is now an interesting museum there where you can see exhibits, such as the inventive ways people tried to escape across the border and original pieces of the wall. Alexanderplatz and the TV tower. 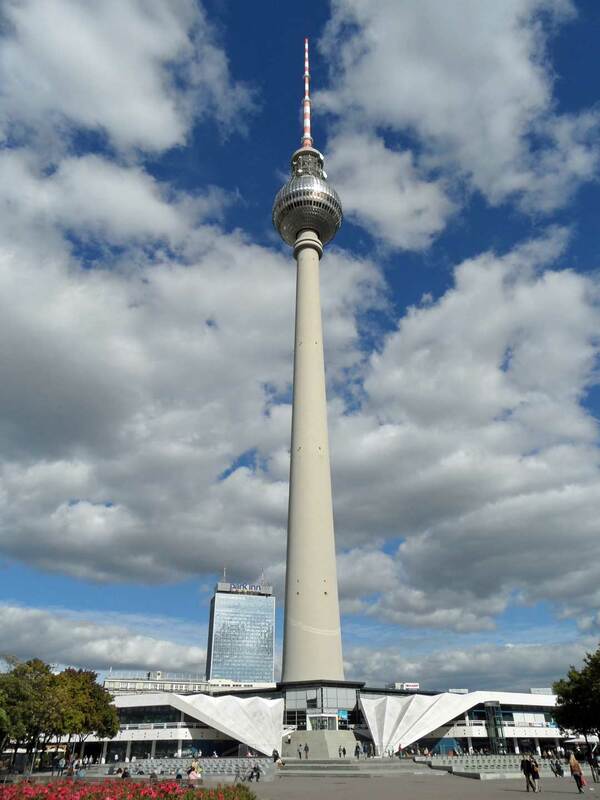 • Alexanderplatz: this square is well-known for its famous TV tower, known locally as ‘Telespargel’ – television-asparagus. It is not the most attractive of towers but you can go up to the observation deck for good views of the city. Other must-see sights are: the Reichstag; the Berlin Wall Memorial; Memorial for the Murdered Jews of Europe; and Berlin Zoo. As well as sights, Berlin has a whole host of eateries, pubs, art galleries, concert venues, and shopping areas. Hamburg is Germany’s second largest city and the second busiest port in Europe. It has a highly-valued status as a ‘Free and Hanseatic City’, dating back from the mid-13th century when it was a member of the Hanseatic League, a medieval trade monopoly across Northern Europe. 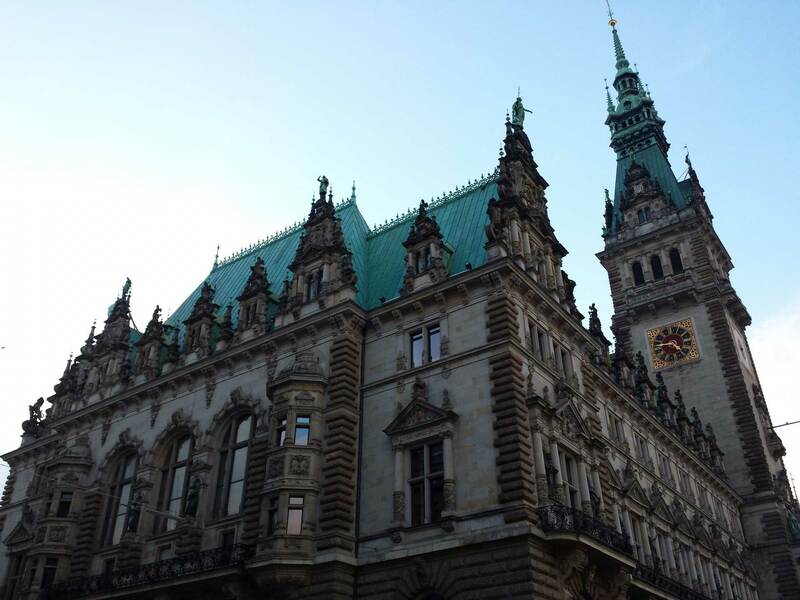 Arguably Hamburg’s most impressive building is the town hall – Rathaus – located at the end of Mönckebergstraße and which houses the city’s government and Senate. Another interesting sight is the ruins of the church of St Nikolai. Heavily damaged along with the other four main churches during the Second World War, St Nikolai is unique in that it has not been rebuilt but left to stand as a monument against war. The tower is still standing, which you can pay to ascend. Speicherstadt is a large district of old warehouses dating back to the beginning of the 20th century. There are a number of museums here but the two main attractions are the Hamburg Dungeon and the Miniatur Wunderland. The Hamburg Dungeon is part of the big ‘Dungeon’ chain, including those in London, Edinburgh, and York, and is a live-action attraction dedicated to the dark and bloody history of the city. The Miniatur Wunderland features many model railway exhibits, including panoramas of Hamburg and other parts of the world. Other interesting districts and areas of Hamburg include: Sternschanze, a great place for eating and drinking; Sankt Pauli, home of the Reeperbahn, one of the most famous red-light districts in the world; and Sankt Georg, the center of the city’s alternative lifestyles. Famous for Oktoberfest, Munich is the capital of Bavaria. Although many foreigners associate Munich with beer above anything else, there is much more to the city. It has the strongest economy of any German city, is an important cultural center, is the home of its country’s most successful football club, and has a long history which is evident in its architecture. The Altstadt – the historic city center – is where most tourists begin their sightseeing of Munich. 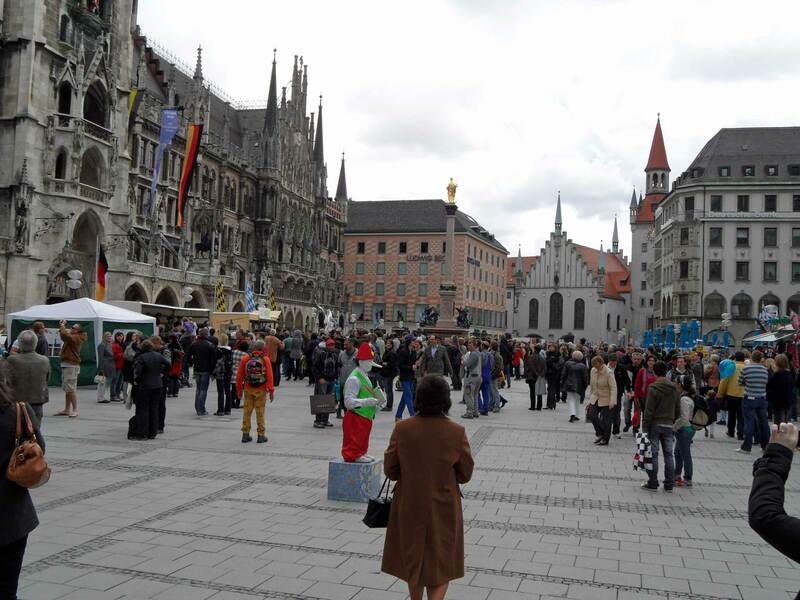 Marienplatz is the central square – and has been since 1158 – where you will find the New Town Hall; in summer, hundreds of tourists stand outside and look up to watch the glockenspiel play. The square also has another town hall, a toy museum, and St Peter’s Church. In Hofbräuhas at 9 o’clock on a Monday evening and the atmosphere is perfect! Hofbraühaus am Platzl is a stop on most people’s trip to Munich. 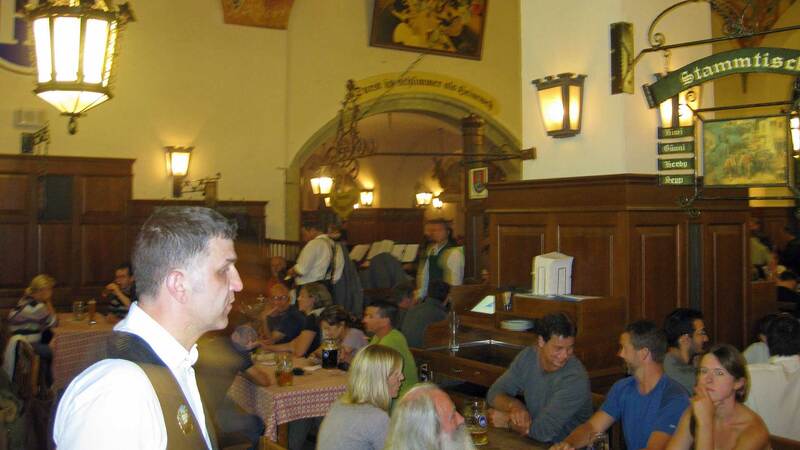 A little bit touristy, but fun nevertheless, it is a three-storey beer hall with a restaurant serving traditional Bavarian food and also hosts music from stereotypical ‘oompah’ bands. Many churches and museums can also be found in the city, including the Munich City Museum and the Jewish Museum. Now known as one of the most laid-back and tolerant of all German cities, Cologne was once the largest city of the Roman Empire. The first thing most tourists see when exiting the city’s main train station is Cologne Cathedral, an exquisite example of Gothic architecture and Germany’s most visited landmark. To get a good view of the city, you could climb the 509 steps of the south tower. But be warned: it takes over an hour. 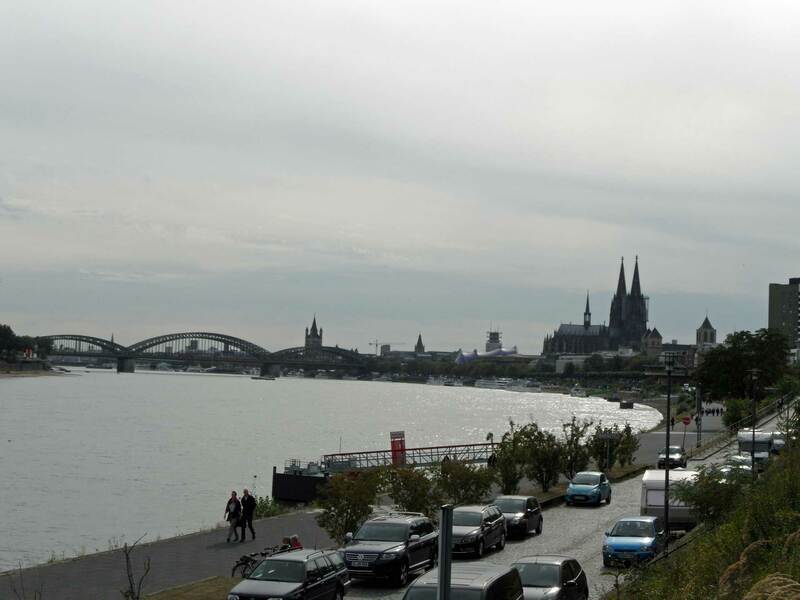 Cologne is also well-known for its Veedel – city quarters, or traditional neighborhoods – of which the most notable is Agnesviertel, with its independent bars, bookshops, and galleries. Other Veedel includes Nippes and Südstadt. If you need some relaxation, Claudius Therme is the place to go. This spa has numerous pools, both indoor and outdoor, saunas, and even naturist areas. They also have plenty of beauty, wellness, and physiotherapy treatments to choose from. Another tourist draw is the Winter Carnival, which takes place every February. Women’s Carnival Day happens the Thursday before Ash Wednesday. On Shrove Monday, people gather to see the parade of the mad triad – the prince, the farmer, and the virgin. Other major cities in Germany include Frankfurt; Düsseldorf; Stuttgart; Dresden; Nuremberg; and Bremen. 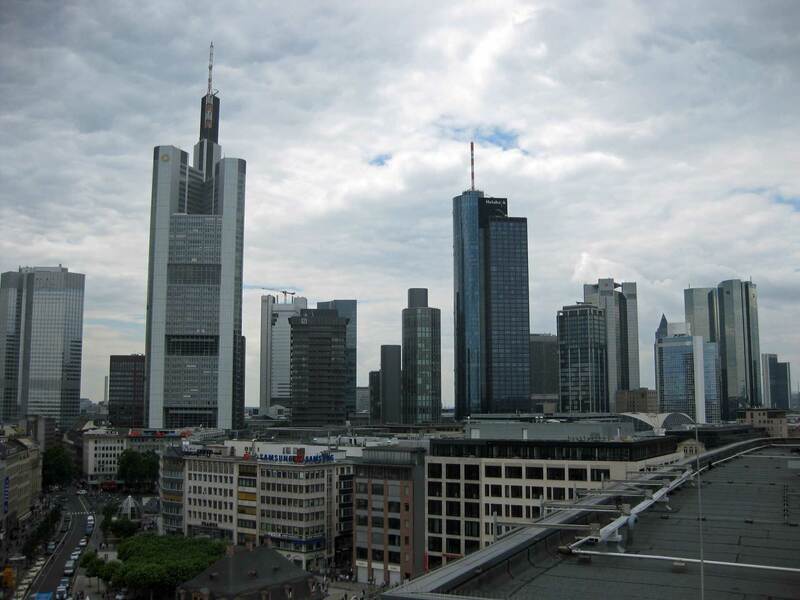 Frankfurt is known more as the economic and business capital of the country but there is still plenty to entice tourists. There are many historic attractions, including the 14th-century cathedral, Römerberg – the old center of the city – and the Old Opera House. The city is also awash with museums. Most of them are located in the district Museumsufer. 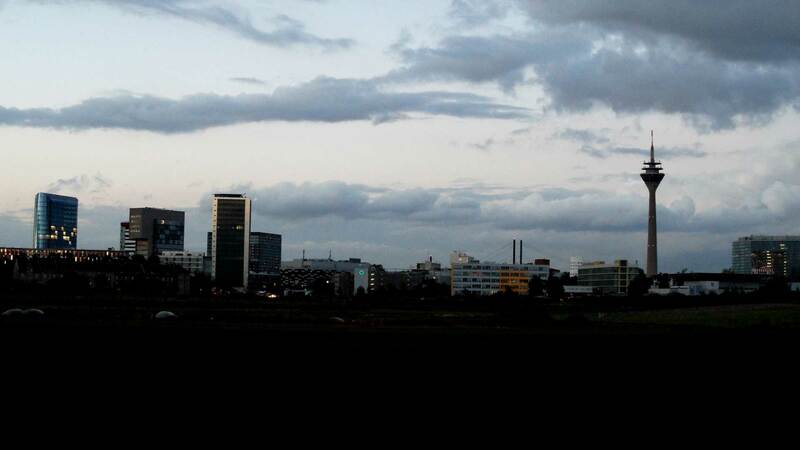 The silhouette of Frankfurt am Main. These include the German Film Museum, the Museum of Applied Arts, the Museum of Regional Historic Art and Culture, the Museum of World Cultures, and the German Architecture Museum. Other museums in other parts of the city include the Archaeological Museum, the Museum of Modern Art and the Goethe House and Museum, dedicated to Germany’s most celebrated author and poet. Although there is enough in the center to fill one trip, it is worth checking out some of the outer neighborhoods, such as Bockenheim and Nordend, in order to see their intact historic streets and parks. Düsseldorf was mostly destroyed during World War Two but has since gained a reputation for being somewhat of a party town. There are few original historic buildings left but the Old Town was lovingly rebuilt. At weekends it becomes the ‘longest bar in the world’, with over 260 bars, brewpubs and coffee shops stretching over one kilometer. 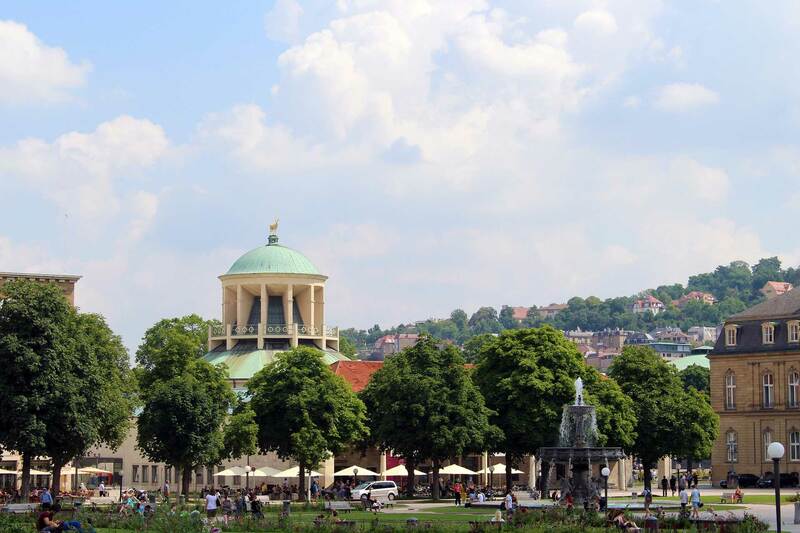 Important sights include Burgplatz (Castle Square), the Cartwheel’s Fountain, St Lambertus basilica, the City Monument, the City Hall, and the Neander Church. If you like shopping then you should get yourself down to Königsallee, or ‘Kö’ to the locals; it has been given the nickname ‘the Champs-Elysees of Germany and has many high-level fashion shops. 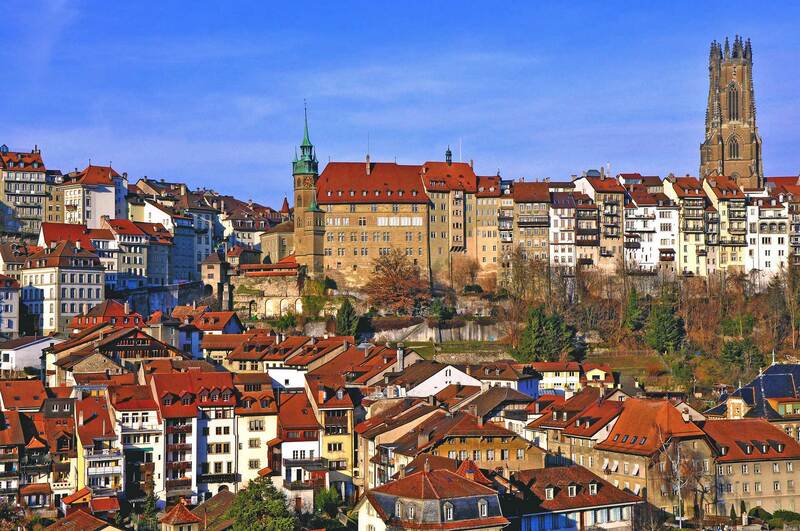 Stuttgart is a manufacturing hub and both Mercedes Benz and Porsche have headquarters and museums here. It is also well-known for being a green city, with an abundance of parks and other green spaces. A lot of these spaces make up ‘das Grüne U’ – the green U – referring to the shape that they make around the city. Other popular parks include Schlossgarten and Akademiegarten. The city has a lot of museums and churches and it is also worth checking out the planetarium. 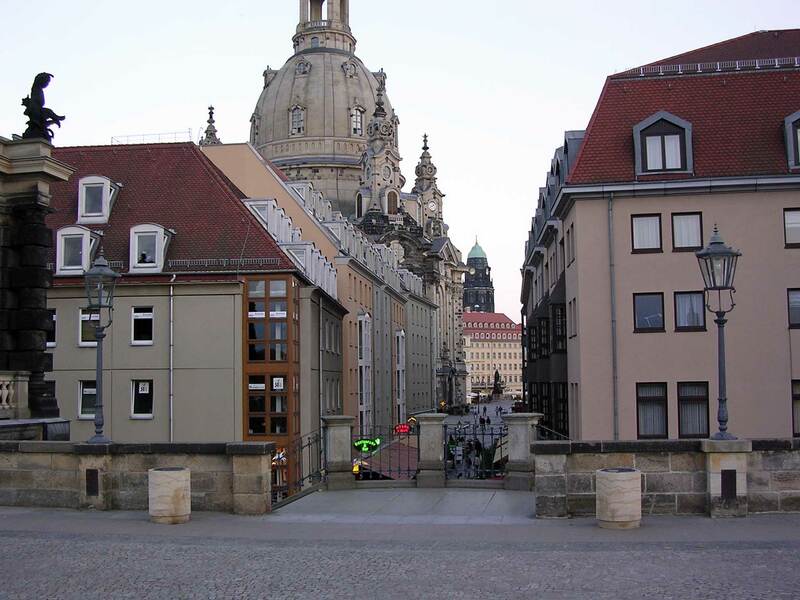 Another city which was mostly destroyed during the Second World War was Dresden. Becoming popular on the backpacker trail due to its positioning between Berlin and Prague, Dresden is a lively city, particularly in summer. Its old town has been reconstructed. Highlights include the Frauenkirche, Zwinger Palace, and the Green Vault. Other areas worthy of visiting are the Neustadt (New Town), the Baroque quarter, the river banks, and the Kunsthofpassage, a passage in the Neustadt which has a building which plays music when it rains. 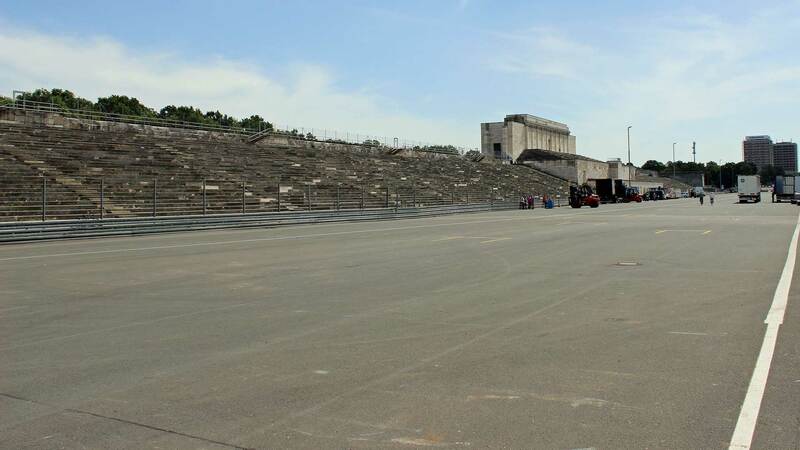 Nazi Rally Grounds in Nuremberg. 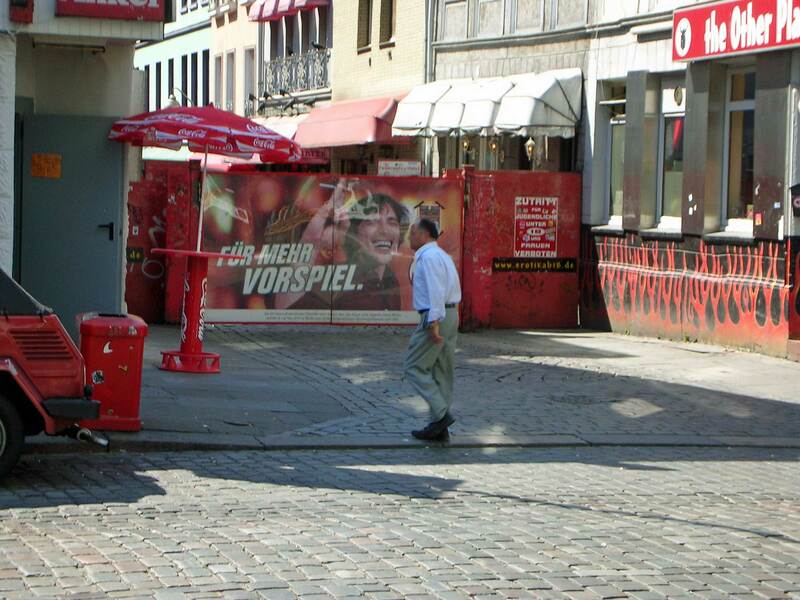 Another German city which is known for being an eclectic mix of old and new is Nuremberg. 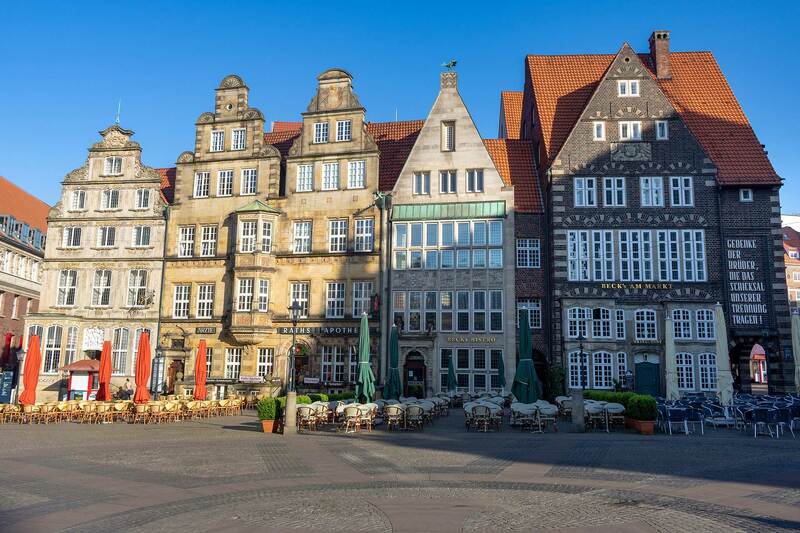 Known primarily for gingerbread, toys, the Nuremberg trials, and the Nazi Party Rally Grounds, tourists in the city can see what might be classed as stereotypical German architecture: Gothic churches, half-timbered medieval houses, city walls, and a castle. It is also, however, home to many German companies, such as Playmobil and Puma. Museums include the Documentation Centre at the Reich Party Rally Grounds, Courtroom 600 – Nuremberg Trials, and the Medieval Dungeons. The zoo and the dolphinarium also make pleasant outings. Along with Hamburg, Bremen is also an old Hanseatic city. Its town hall is a UNESCO World Heritage Site and its cathedral – St Peter – is over 1200 years old. Böttcherstraße is a great example of Art Nouveau architecture with an impressive glockenspiel which, if you are there at the right time, you will hear chiming. Bremen is also the home of Beck’s beer and guided tours of the brewery are available, although you do have to book in advance. Despite most tourists gravitating towards the cities in Germany, the country has a whole host of other things to offer. You may not have heard the name before but you will certainly know this castle. Famed for being the inspiration behind the royal castle in Disney’s Sleeping Beauty (the one on Disney’s logo), this beautiful example of Romanesque Revival architecture can be found on a hill above the south-west Bavarian village of Hohenschwangau, near Füssen. Built as a palace for Ludwig II of Bavaria as a retreat in honor of Richard Wagner, it has been open for visitors since seven weeks after his death in 1886. Now over a million people visit each year; quite ironic, seeing as Ludwig himself was an exceptionally private person. On a tour of the castle, you can see the apartment and staterooms as well as the outer courtyards. Germany has developed its coastline on the Baltic well, with the area being a popular tourist destination since the 19th century. Many different towns and cities make up the area and offer different experiences. 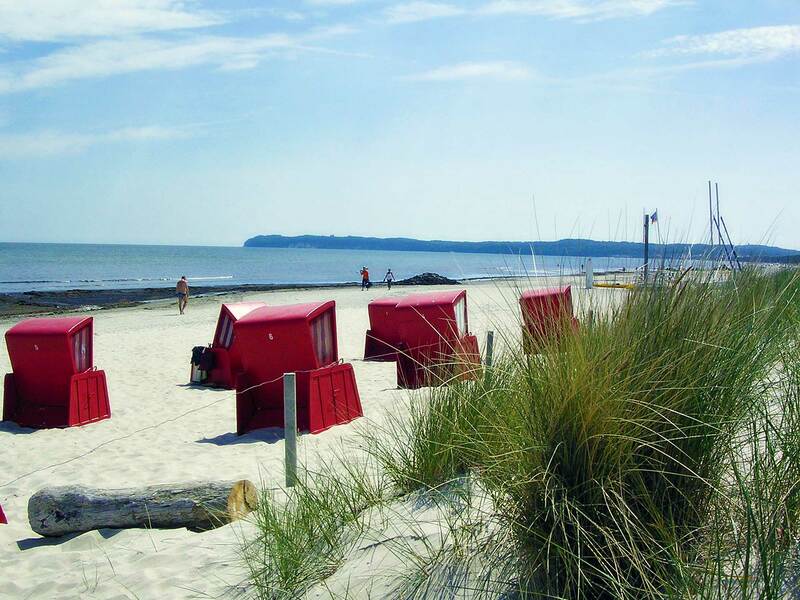 Rügen and Usedom are both islands with histories as spa locations. Between the island of Usedom and the university city of Kiel are many long bathing beaches, one of the most popular things that attract people to the area. The cities of Wismar and Stralsund are both UNESCO Heritage Sites, and the port city of Rostock holds an annual sailing regatta, Hanse Sail. Situated in the south-west of the country, the Black Forest is a large wooded area famous for cuckoo clocks (the first one was invented in Schönwald Im Schwarzwald in 1737), skiing and watch-making. The area is excellent for hiking and mountain biking in the summer and offers skiing during the winter, although the few resorts that are there can become very crowded. There are quite a few cities in the area, including: Freiburg, known as the ‘Jewel of the Black Forest, a picturesque university town close to the borders of France and Switzerland, and said to have some of the best and sunniest weather in the whole of the country; Baden-Baden, the world-famous spa town, where you can see the ruins of the Roman baths and then head over to enjoy the thermal waters of Friedrichsbad or Caracalla Therme; and Offenburg, known as the capital of the wine region and which also has a few castles to wander around. 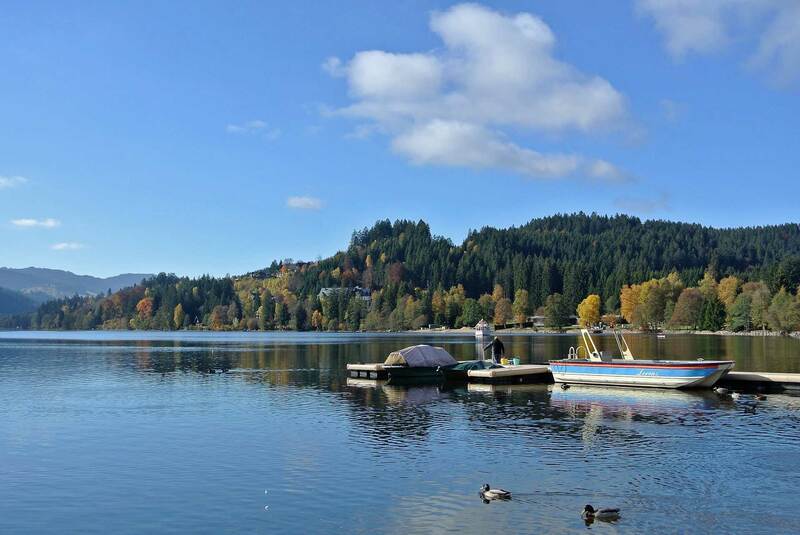 For more rural surroundings, a trip to Titisee, a lake a couple of hours away from Freiburg, and its associated tourist village Titisee-Neustadt are recommended. From here, it is a short distance to Lake Constance, the city of Konstanz, or you could even hop over the border to Switzerland to see the Rhine Falls. The Romantic Road was devised by travel agents in the 1950s in order to give tourists the quintessential German experience. Stretching 350 kilometers from Würzburg to Füssen, it was initially a trade route back in the medieval ages but now links various picturesque towns and classic castles in Bavaria and Baden-Württemberg. 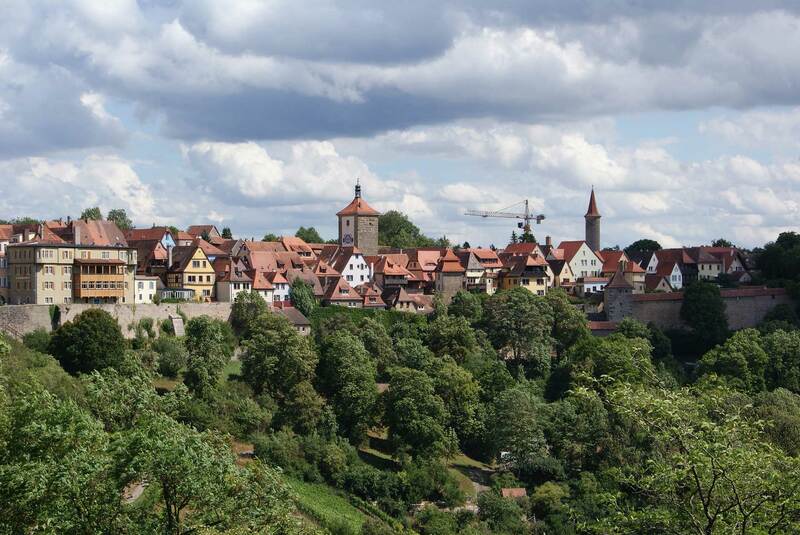 Würzburg itself is an attractive city, with a cathedral, fortress, and palace. Other cities and towns along the way include: Rothenburg ob der Tauber, a town people know by sight if not by name, owing to the fact that pictures of the place are used frequently to show a typical medieval European town – it has a completely preserved and undamaged 14th century town wall and is well-known for its old center; Nordlingen, a city which lies within the Ries Basin, a crater formed 15 million years ago when a meteorite struck the Earth; and Ausburg, home of the oldest social housing, the Fuggerei, which dates back to the 16th century. The end of the line – Füssen – is an enchanting town in itself, with a monastery and basilica. 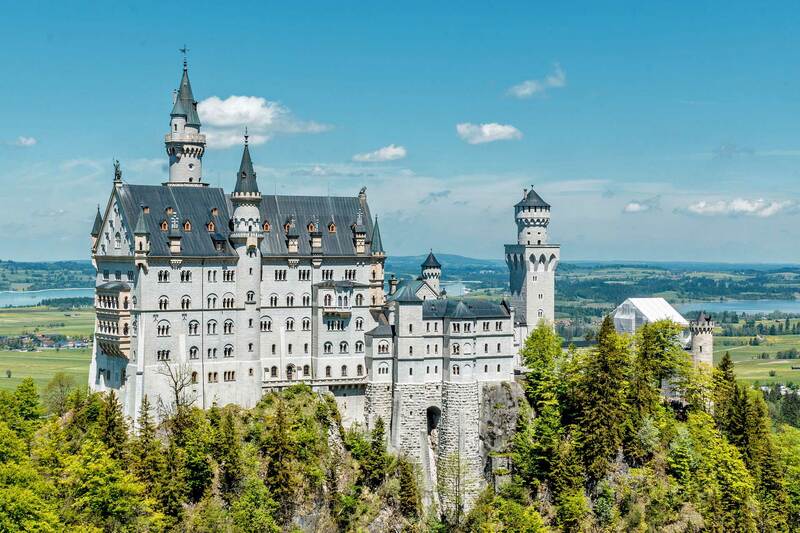 It is also the jumping off point for the aforementioned Neuschwanstein castle, as well as the castle of Hohenschwangau and the ruins of Falkenstein. Brown signs mark the way all along the Romantic Road. Due to its size, Germany really does have everything to offer tourists. From bustling, vibrant cities to enchanting nature, from the old and crumbling to the ultra-modern, you will be sure to find a part of the country which you will enjoy.